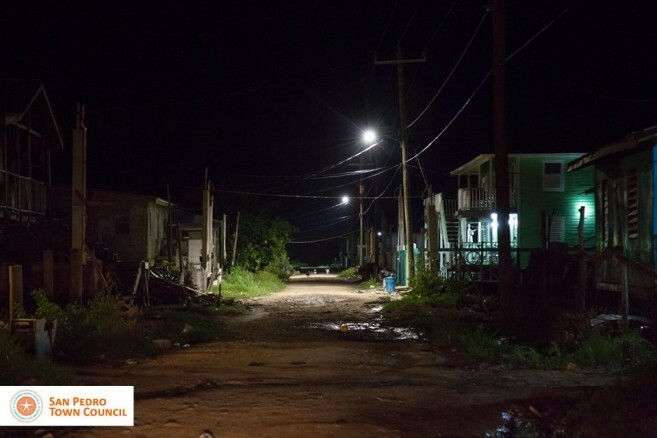 Belize Electricity Limited began an aggressive green energy project in July of this year, aiming strongly at replacing 31,000 street lights with LED lights countrywide. The project also benefited certain areas in different municipalities around the country that did not have well lit streets. Thanks to such campaign, the San Mateo Sub-Division in San Pedro Town now enjoys the safety of well- lit streets which bringing a sense of relief to residents. The San Pedro Sun spoke to residents in San Mateo, who expressed their satisfaction. The recent crime in San Mateo had residents in fear, since many of the streets were not properly lit. At a recent meet and greet session with the local police, the main vulnerable areas of the neighbourhood were identified enabling the BEL crew to install 15 LED lights in strategic areas frequented by people on their way to work or home. Mayor Daniel Guerrero is pleased with the quick work of BEL. “It was all a matter of time. We are working closely with BEL, while speaking with residents of that area, so we know how best to assist. 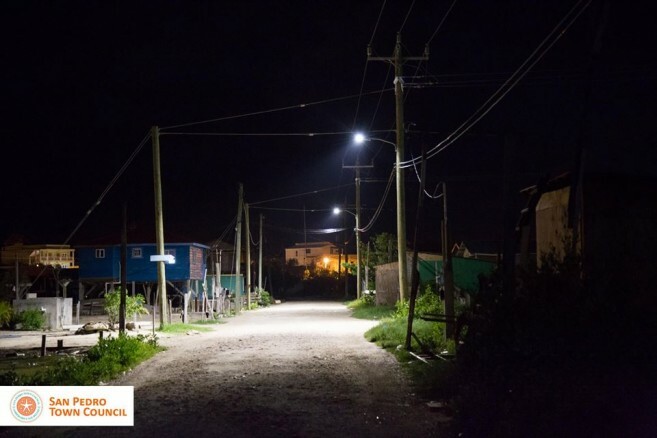 We know of the needs of proper street lighting,” said Guerrero. He added that eventually other areas of San Pedro Town will also benefit from the program; however it is all a process. LED lights are considered environmental friendly and very cost efficient. It is expected that with the larger life span and electrical efficiency of these new lights, the consumption of energy will decrease while providing a better range in light coverage. This first phase of the project implemented in San Pedro Town has already seen good results, and with the high tourism season already starting to pick up, other key areas of the island will soon be evaluated for this much-need upgrade.